During a recent presentation ceremony at the National Museum of Singapore on the 29th of June, the winners of the Asia-Pacific Breweries Signature Art Prize 2018 were announced. 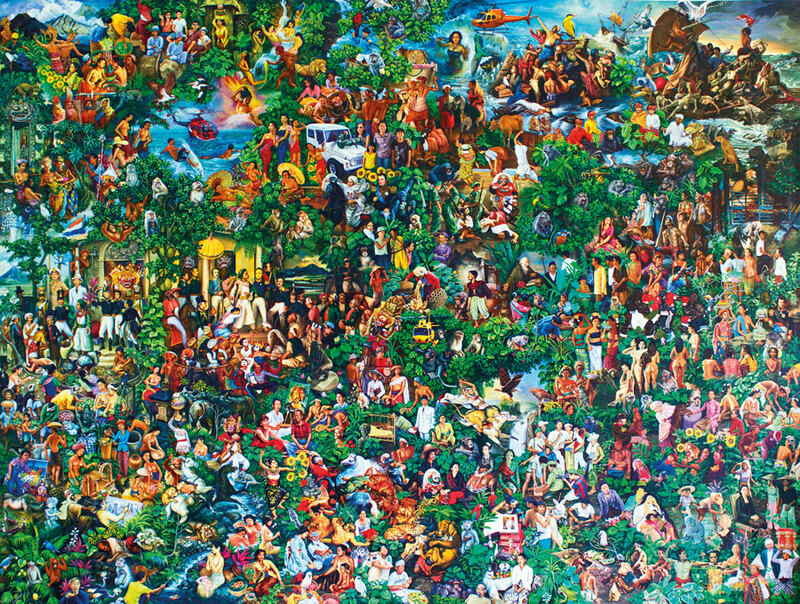 After Paradise Lost #1, a colourful and complex narrative painting of everyday life intertwined with history, by Balinese artist GedeMahendraYasa was short-listed for the prize along with works by 14 other artists from a total of 113, and originating from 40 different countries. The artists (and collectives), whose art works ranged from mixed media installations, sculpture, paintings, photographic and video works came from Australia, Hong Kong, India, Indonesia, Japan, Kazakhstan, Malaysia, New Zealand, Singapore, South Korea, Taiwan, Thailand, and Vietnam. Inaugurated in 2008 by the Asia Pacific Breweries (APB) Foundation and the Singapore Art Museum, the triennial prize recognises outstanding examples of contemporary art from both emerging and established artists from the Asia-Pacific rim to the region of Central Asia, over the past three years. MahendraYasa’s acrylic on canvas composition merges traditional, with modern and contemporary painting techniques to depict an imaginative universe complete with tales from Balinese, Indonesian and global art history. And while After Paradise Lost #1, the only painting work within the 15 finalists, did not win the Grand Prize, or the Jurors’ Choice Awards, it won the People’s Choice Award for receiving the most votes by members of the public while the 15 finalists works were on the exhibition at the National Museum of Singapore from 25 May. The People’s Choice Award provides the public an opportunity to participate in the decision-making process, while seeking to encourage critical thinking and dialogue around contemporary art in the public sphere. MahendraYasa received a SGD $10,000 cash prize. “I knew I would not win the grand prize, as a painter, I know how difficult it is for paintings to be accepted as a conceptual medium,” said MahendraYasa, whose painting is the culmination of many years of analysis of Balinese and western art genres. “I am happy to win the People’s Choice Award, and to know that painting is still a popular medium,” he adds. “After Paradise Lost #1 is part of a series that MahendraYasa started in 2012 in which he appropriates a particular Balinese painting style, the Batuan style, to speak critically about the position of Balinese art in Indonesian art history,” said renowned Indonesian curator and nominator of the painting, AgungHujatnikajennong. 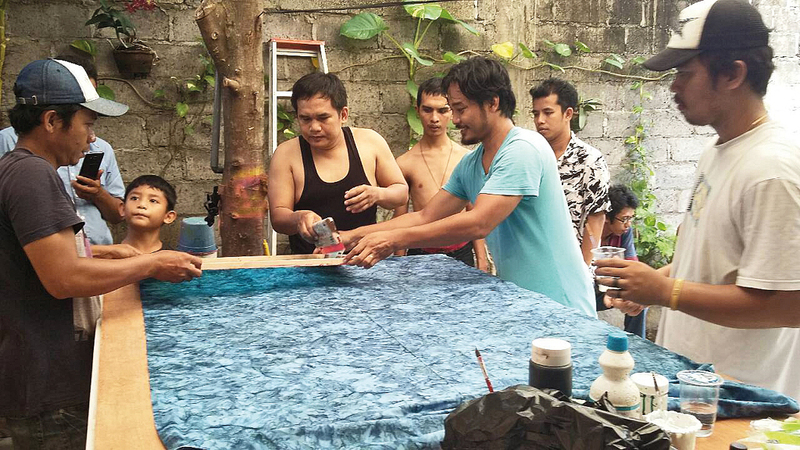 MahendraYasa has craved a unique path within the development of Balinese contemporary art. 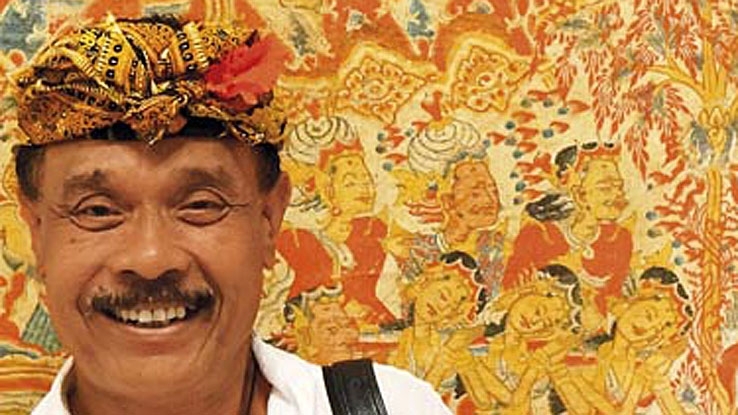 As an outsider he has always maintained a critical approach to both his culture and the ‘narratives’ that have predominated within the Balinese art world. He has dared to investigate Balinese art like no other artist, being driven to question these popular ‘narratives’, along with the status quo. 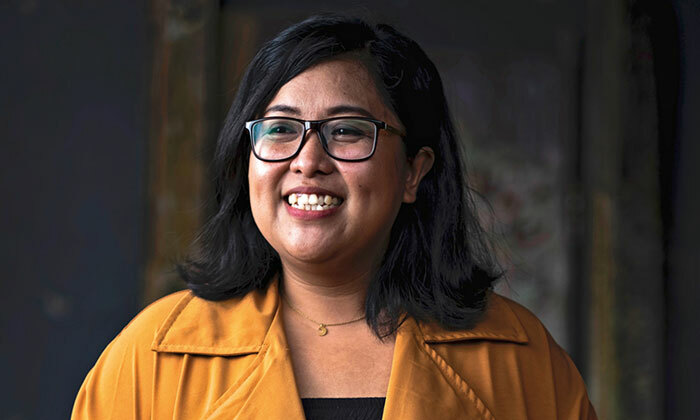 Born in 1967 in Singaraja, North Bali, MahendraYasa grew up within a ‘multi-cultural’ environment where the Balinese Hindu’s had the freedom to choose a more open interpretation of cultural life. 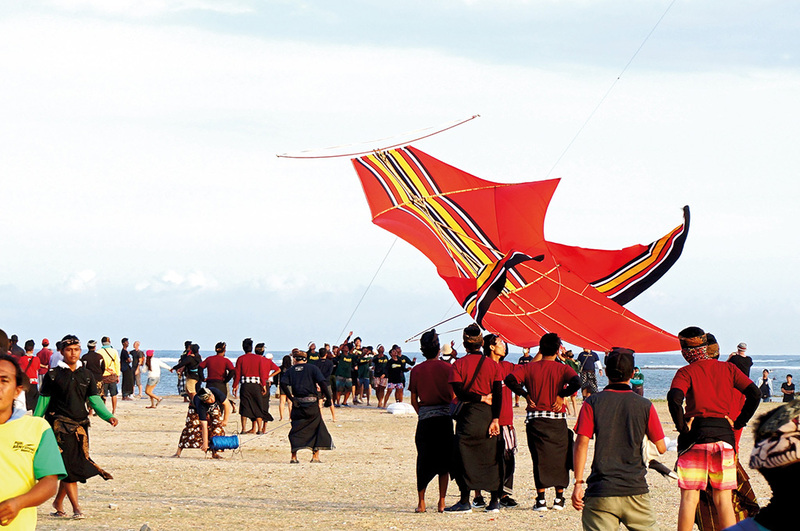 They were not subjected to the cultural structures that were ‘imposed’ within the Gianyar regency during the early 20th century, while it was being honed into a pro-Dutch colonial model of a ‘living cultural museum’ to stimulate tourism. Representing a new generation of the Balinese avant-garde, MahendraYasa was inspired by the artistic freedoms available after the fall of President Suharto and the new order regime in 1998. A self-taught artist, between 1998-2002 he studied at the Indonesian Art Institute (ISI) Denpasar. As an art provocateur it has been essential for him to pose important questions in order to move forward, as well as to inspire others to look more critically at Balinese art. In doing so MahendraYasa has been instrumental in the formation of important Bali art collectives the KlinikSeniTaxu, the Neo Pitamaha and NU-abstract. With the majority of the national and international art world’s focus upon artists from Java’s creative hubs of Yogyakarta, Bandung, Jakarta, and Padang, West Sumatra, to be nominated for the Signature Art Prize, and to win the People’s Choice Award is an outstanding achievement, for both a Balinese, and an Indonesian artist. And while this has earned him a lot of foreign media attention, more exposure in the international art world is a bonus for the artist who says that the majority of his collectors come from Malaysia and Taiwan, and not from Indonesia. For the 2018 edition, 113 artworks from 46 countries and territories across Asia Pacific and Central Asia are nominated for the Prize, of which five are from Singapore. These are works by artists Jack Tan, Wei LengTay, Lina Adam, Shubigi Rao and Choy Ka Fai. The 15 finalists of the 2018 instalment was announced in early 2018, and the APB Foundation Signature Art Prize finalist exhibition takes place from 25th of May to 2nd of September 2018 at the National Museum of Singapore, the venue partner for the Prize. The awards ceremony took place on 29th of June 2018.